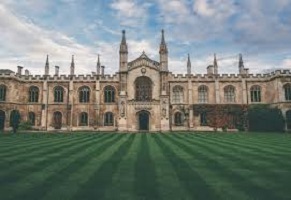 As President Trump wisely uses an executive order to protect free speechagainst college-campus thought police, news from Cambridge in England reminds us that leftist lunacy isn’t confined just to American universities. Cambridge University, a pillar of learning for more than 800 years, has rescinded an already accepted offer of a fellowship to Jordan Peterson, a psychology professor from Toronto. Jordan’s sins? Challenging the tenets of political correctness and criticizing an Orwellian proposal by the Canadian government that would criminalize the failure to use bizarre gender-neutral pronouns for those who want them. And, yes, Canada did institute a law that literally could lead to criminal penalties, including jail time, for repeatedly refusing to use a subject’s preferred pronoun gender or a gender-neutral (non)word such as “ze” and “zir” for “she” and “he.” In a series of lectures, Peterson criticized the proposal, since enacted, as the “dangerous,” “pathological,” freedom-killing abomination that it most undoubtedly is. Almost as it to prove Peterson’s point that a sort of anti-free thought totalitarianism is on the loose, faculty and students at Cambridge erupted in protest at the idea that a free speech advocate could teach for two months at their bastion of higher thought control. The university caved, and disinvited Peterson from its campus….